Making Healthcare regulation somewhat easier to swallow. The pharmaceutical industry is highly regulated, and the stakes can be high in the realm of pharmacy compliance. Whether you are a retail pharmacy or mail order pharmacy, 340B or other institutional pharmacy program, or a compounding pharmacy or pharmaceuticals wholesaler, the law firm of McBrayer has the experience and resources to protect your business. Licensure: We help clients obtain federal and state licenses and registrations necessary to conduct their business. We also help pharmacy clients respond to inquiries, investigations and audits from the Drug Enforcement Administration (DEA) and Kentucky Board of Pharmacy and other state boards concerning licensure and registration issues. Compliance: We help pharmacy clients structure their business activities to comply with federal and state fraud and abuse laws, health information privacy laws, and record-keeping and notification issues. Reimbursements: We help pharmacy clients structure their business activities to comply with Medicare and Medicaid reimbursement requirements. We also review and negotiate pharmacy provider agreements and pharmaceutical supply agreements to help clients establish and protect reimbursement relationships. 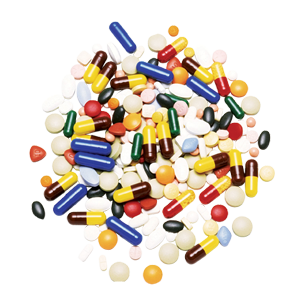 We understand the issues that pharmacies and pharmaceutical wholesalers face. Our attorneys represent national retail pharmacies and pharmaceutical wholesalers with respect to a variety of regulatory, compliance and transactional issues. With offices in Lexington, Louisville, Greenup, and Ashland and a government relations practice in Frankfort, Kentucky with a presence in Washington, D.C., our law firm represents pharmaceutical clients throughout the United States. To discuss your case with one of our experienced pharmacy law attorneys, contact the firm online. Pharmacies of all shapes and sizes, from national chains to mail order pharmacies to the local compounding pharmacy down the street, rely on McBrayer to counsel and represent them in their highly-regulated field. We can assist clients with obtaining the appropriate facility and pharmacist licenses necessary to operate. We also represent pharmacies facing inquiries and allegations from the Kentucky Board of Pharmacy and federal programs, such as Medicare and Medicaid. Pharmacies needing to negotiate reimbursement agreements with health insurance companies can turn to us for assistance.